The Plurinational State of Bolivia is a landlocked country in South America. It was named after the 19th century leader Simon Bolivar, who fought for independence in the continent. 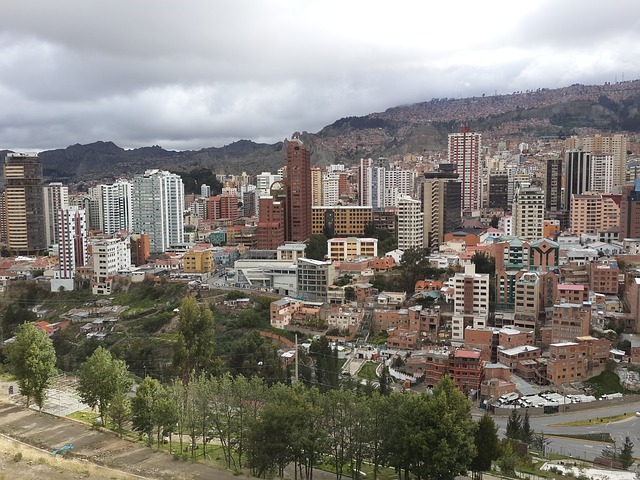 Most foreign residents in Bolivia live in the major cities of Santa Cruz, La Paz, Cochabamba and Sucre. The country is rich in natural resources, with natural gas accounting for 50% of the economy’s total exports. Its main industries are mining, smelting and petroleum. More half of the working population is employed in the services sector, 39% in industry and 14% in agriculture. Bolivia is a colourful destination in every sense of the word. It is home to dozens of indigenous groups that speak more than 30 languages. It is a melting pot of cultures and traditions. Here is a quick guide to your stay in this South American paradise. Individuals, locals and foreigners, are taxed only on their Bolivian-source income. What are Bolivian-sourced income? These are income from goods/assets located or utilised economically within the country. The personal income tax rate in Bolivia is 13%, computed on gross income after deduction of social contributions and other law-mandated concepts. Social security contributions, shouldered by employees, are at 12.71% calculated on gross salary with a threshold of 60 minimum national salaries. If you earn more than 13,000 bolivianos, you are subject to social tax charges. The other taxes that may be applicable to you are the value-added tax (VAT) and property tax on real estate and vehicles. 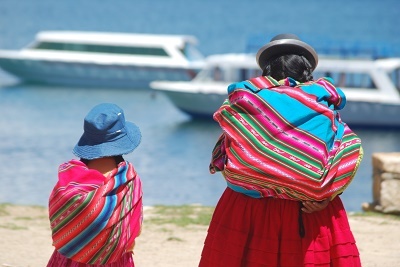 People in the administrative capital also celebrate La Paz Day every July 16th. Take note that when a holiday falls on a Saturday or Sunday, Friday or Monday may be designated as a day off. According to latest data (published in 2013), about 41% of the Bolivian population or 2.8 million people are members of indigenous groups. The largest among the 36 recognized indigenous groups are the Quechua and the Aymara. Approximately 20% of the total land area in the Bolivian territory is collectively owned by indigenous peoples under the status of Native Community Lands. In 2009, President Evo Morales promulgated the new constitution recognising Bolivia as a plurinational state or one with a multi-cultural nature. Morales is the country’s first indigenous leader and the longest-serving president so far. Mestizos, the second-largest race, comprise 26% of the population. About 14% of the people in Bolivia are whites, mostly living in the key cities of La Paz, Santa Cruz and Cochabamba. Similar with the rest of Latin America, the Roman Catholic Church maintains a dominant presence in Bolivia. A 2013 study revealed that 76% of the population are Catholic although only a quarter are actively practicing the religion. Protestants comprise 17% of the population while 5% are either atheists or agnostics. The other religions in Bolivia are Buddhism, Judaism, Hinduism and Islam. The Bahá'í Faith, which arrived in the 1940s, is the largest international religious minority in the country. Under the present constitution, Bolivia is a secular state. The law of the land mandates religious freedom, prohibiting the government from interfering with religious exercise. Do you know that there are 37 official languages in Bolivia? Don’t worry. You can manage with daily life with basic Spanish, which is spoken by 75% of the population. The other widely-used languages in Bolivia are Quechua and Aymara. 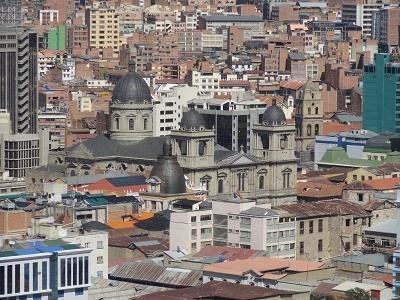 English is mainly spoken in large cities such as La Paz and Santa Cruz. Andean Spanish, which is preferred in urban areas, had been influenced by indigenous languages. Camba Spanish is popular in Santa Cruz, Beni and Pando, while the Chapaco variation is the choice in Tarija and Sud Chichas. Foreigners are strongly advised to get vaccinated against infectious diseases as the degree of risk is regarded as “very high” in Bolivia. All visitors are required to secure an International vaccination certificate yellow fever. For additional protection, have vaccinations for hepatitis A, dengue fever, and malaria. In August 2016, Zika virus-infected Aedes mosquitoes were detected in Bolivia. The virus, which can cause birth defects, can be transmitted from a pregnant woman to her fetus. The most common symptoms are fever, rashes, joint pain, red eyes, muscle pain and headache. Currently, there is no vaccine to prevent Zika although there are easy ways to protect yourself such as wearing long-sleeved shirts and pants, using insect repellents and sleeping under a mosquito bed net. In 2013, McDonald’s, one of the world’s largest fast food chains, closed it last stores in Bolivia. Why? The concept of “fast” and processed food is not aligned with the country’s large indigenous population. According to Hispanic blog El Polvorin, Bolivians define a good meal as one that has been prepared with “love, dedication, certain hygiene standards, and proper cook time”. Each region in Bolivia has its own cuisine. In higher and colder areas, people put a lot of spices in their dishes. People in low-lying areas usually feast on yucca, vegetables and seafood. Some of the best Bolivian dishes you should try include Papas Rellenas or stuffed potatoes, the spicy pique a lo macho, the savory Buñelos and the staple quinoa. Bolivia’s customs and traditions take root from a wide range of origins, from indigenous practices to Spanish culture. Generally, families and communities in the country are close-knit. Many generations are living under the same roof and co-habitation is a norm. Bolivians, similar with other former Spanish colonies, observe Catholic traditions in marriages, baptisms and funerals. Many Bolivians are highly superstitious people. Traditional healers are still preferred over modern medicine in many rural areas. There’s also a lot of folklores you should hear about. Locals, especially in rural provinces, may show their curiosity over foreigners by asking too much questions. Bolivians love to converse and learn from other cultures. Some topics you should veer from are those concerning political issues or criticisms towards religious groups. Although the Gospel is something many Bolivians are open to talk about. Feel free to chat with them, though you may need to brush up your Spanish. You can save a lot of time and hassle by calling international or local companies to move your belongings to Bolivia. They offer door to door service where they will pick the packages from your home and deliver them to your new house. The average shipping time to Bolivia is 2-5 business days, depending on your country o f origin. Prices of shipment also rely on the weight and quantity of the packages. Bolivia doesn’t have its ports. Containers going into the country are re-routed to the Port of Ilo in Peru and to neighbouring maritime ports of Chile, Argentina and Brazil. If you are planning on taking your pet with you, make sure that its rabies vaccination is no more not less than one month and not more than twelve months before its arrival. You should also secure a Veterinary Health Certificate issued by a government accredited veterinarian from your country of origin. All pets entering the country by cargo should be identified by a microchip, the only method accepted by the Bolivian Customs. Also, make sure that they have an International Health Certificate issued ten days before import date. You can contact the Consulate/Embassy of Bolivia for further information about their pet relocation policy. The country of Bolivia doesn’t have its coastlines. So if you are a beach lover or coming from a country surrounded by water, you have to be prepared with the vast landscapes waiting for you in Bolivia. The transition will require some time. But once you’ve settled, you will find yourself falling deeply in love to its enchanting forests perfectly shaped plateaus.